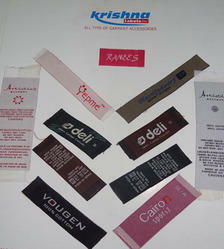 We are offering Garment Labels to our clients. We provide high-quality products to our clients. We are offering Cloth Label to our clients. Black woven printed size label available in both black and white colors, each stick contains 200 pcs.